The shooting star candle on the usd to cad chart may yet be validated later today as the currency market waits for the Bank of Canada interest rate decision later. Consensus of opinion seems to be for a hold at 0.25% but given yesterday excellent building permits data which came in at a stellar 18.0% against a forecast of a mere 1.1% the Bank’s statement will be scrutinzed even more closely. Just prior to release of the interest rate decision the market will have had the Housing Starts data which is expected to come in at 159k – marginally better than the previous 157k. 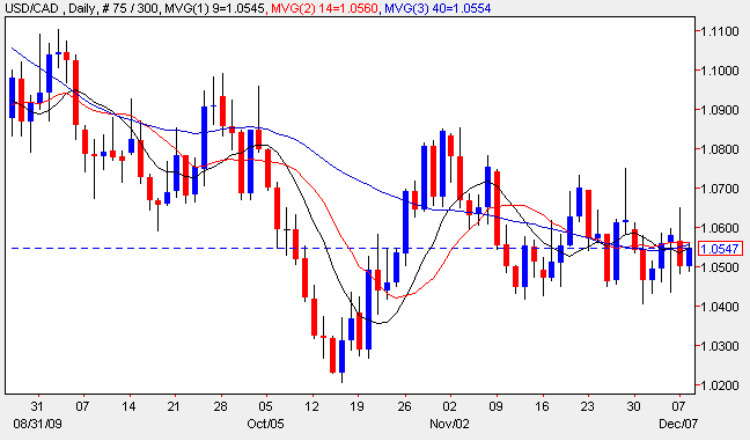 However, should this too overshoot together with a hawkish tone from the BOC could see the US dollar continue its downwards slide against the Loonie and with Bernanke signalling yesterday no change to an “extended period” of low interest rates this afternoon’s activity should provide us with some excellent trading opportunities in this pair.